Photos captured the incredible moment a 12-year-old girl from Mississippi helped deliver her baby brother. 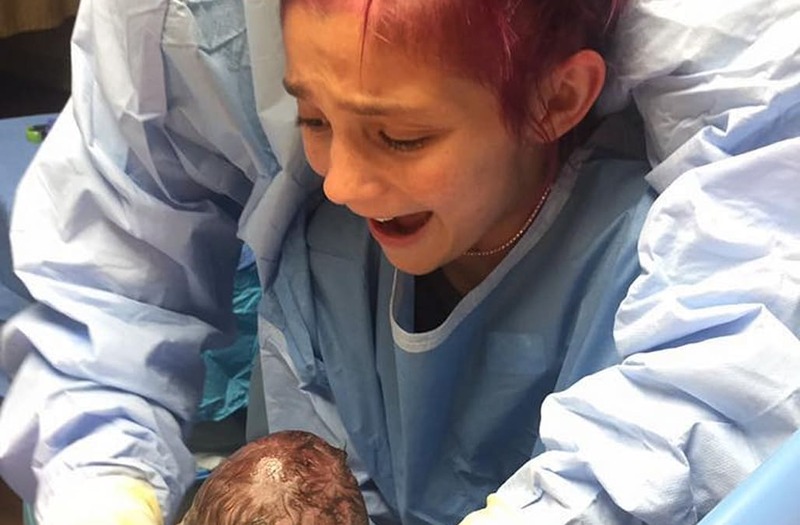 Jacee Dellapena was trying to get a better look at the birth of her new brother on Tuesday when she started crying because she thought she would miss it because she wasn't tall enough to see, WBLT reports. That's when Dr. Wolfe asked Dellapena to step in and help deliver the baby. "I actually, like delivered him, like, he let me actually push down and pull the baby out....I was like, 'Wow, like I've played fake doctor before, but this is, like, the real thing, this is is the real deal.' I was really nervous," Dellapena told the station. In the end, not only was Dellapena able to help deliver her 7-pound, 6-ounce infant brother, Cayson Carraway, but the doctor even allowed her to cut the umbilical cord. "I don't even know if there are words to describe how it felt," her mother, Dede Carraway, told Fox News. "Never in a million years, if you would have told me 12 years ago she [Jacee] would be delivering my last born, I would have told you – you're crazy!" Facebook user Nikki Smith posted photos of the special delivery on Wednesday. Her post read, "Meet Jacee! 12-year-old helped deliver her baby brother and the emotions on her face is too amazing not to share! You're a superstar jacee!" The post has since been shared more than 175,000 times and liked more than 195,000 times.